"When you really want to stop"
While other companies simply copy what is already on the market and then make it slightly better, we elect to break the from the norm. 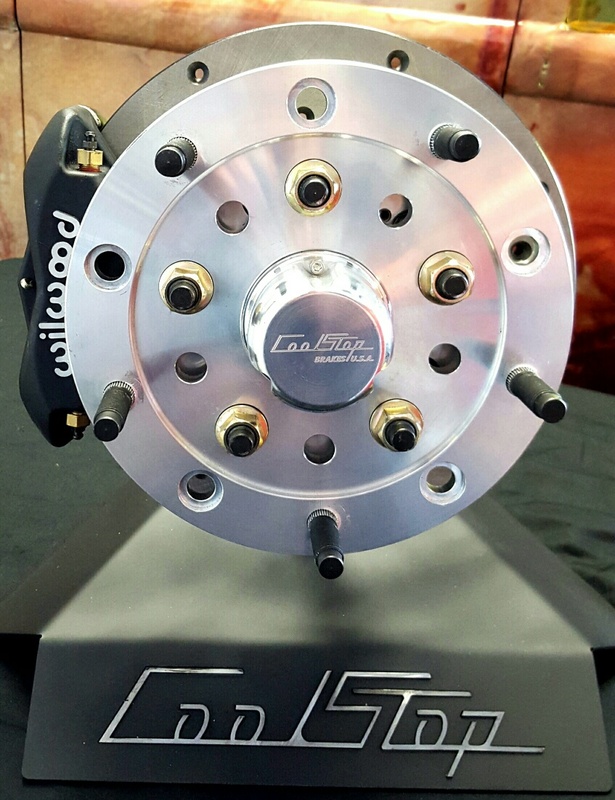 Other companies are running 11" single thickness rotors with 1,2,&4 piston calipers, we don't make anything for the street with less then dual thickness rotors with venting between them to keep them Cool. While testing we found a standard type 1 Beetle equipped with four wheel 11" single thickness brakes at all four corners, with 2 piston front calipers and single piston rear calipers could stop with in a safe distance from 60mph. However when asked to bring the car down from higher speeds we noticed EXTREMELY longer stopping distances. In fact while trying to slow down from 90-100 mph we experienced 80% brake fade from 60mph down. 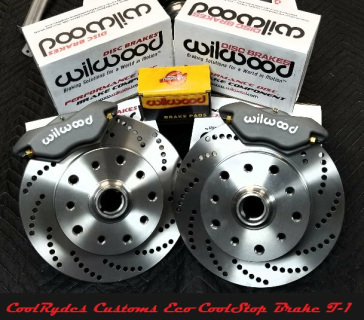 We've gone above and beyond the competition with our all new line of brakes, because there is no feeling like Stopping when you need to. Have you ever asked what happens when you step on the brakes? We all know that we push the brake pedal down and either our drum brake shoes get pushed out into the brake drum or our disc brake pads squeeze the brake rotor. What you may not know is that when this is happening there is lot of friction, and one of the main by products of the friction is heat and a lot of it. All of the other kits on the market can deal with some of this heat and friction to a point. Some have even offered cross-drilled rotors (this increase the surface area of the disc allowing it to dissipate more heat like the cooling fins on our air cooled engines) These holes also help remove the gasses that get trapped between the pads and the rotor that cause brake fade. 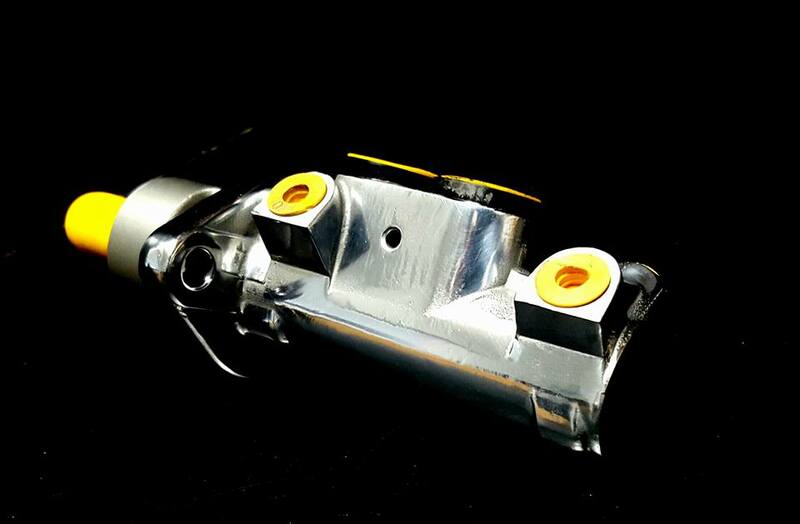 Others have also offered multiple piston calipers that offer greater clamping force (this helps provide more pressure from the pads to the rotors also helping to avoid brake fade from pad float). At the same time this extra clamping force causes even more heat and gasses to develop with no place to go. So why CoolStops ? 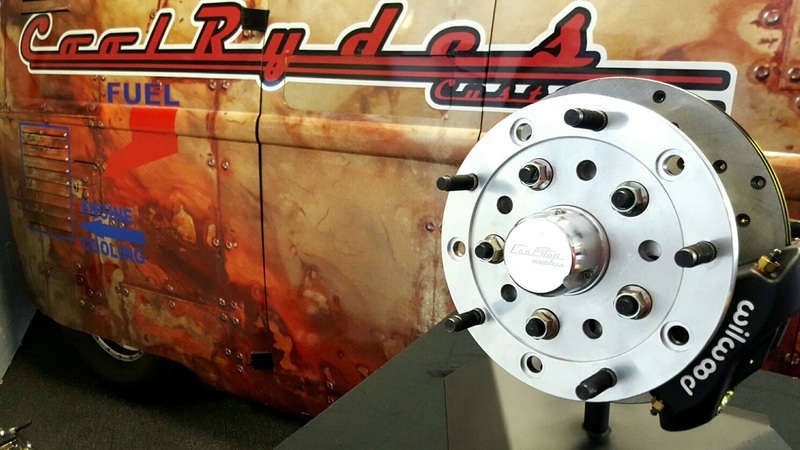 Just like the name says, our brakes are engineered to deal with the extra heat and gasses. We deal with the heat by having more then twice the surface area then any of the competitions brakes, not to mention we have full venting down the center. 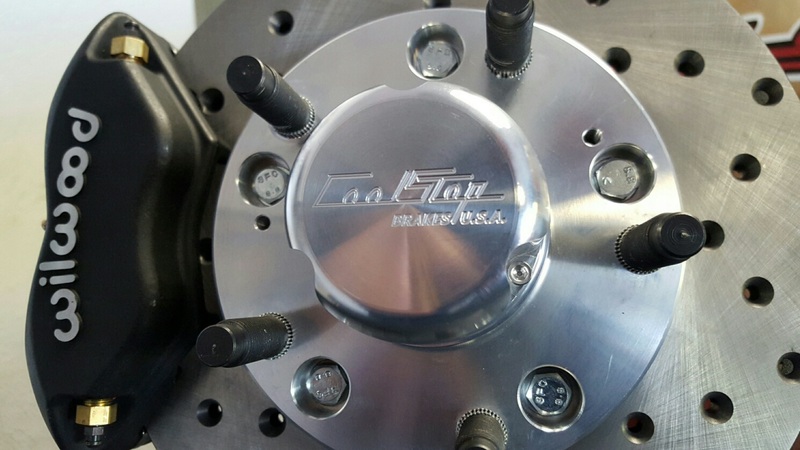 Our vented rotors have a venting vanes that actually causes positive air flow through the rotor. So like the fan on your motor, it pulls in and pushes air out, helping to keep our brakes super cool. 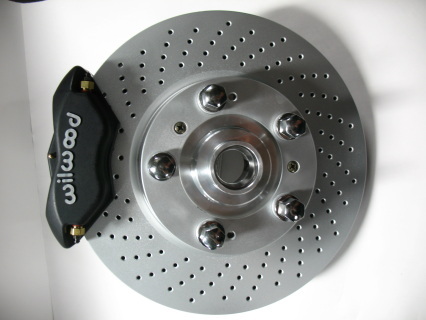 Our rotors are also Cross-Drilled to help vent brake pad gasses that can build up under heavy braking. Clamping force is done by Wilwood 4 piston calipers that can truly clamp down on our rotor with out overheating the brake system. No way, we have two size of front brakes for you guys. Our 11" Vented Cross-Drilled with four piston Wilwood system and our MASSIVE 12.5 inch monster brake kit for all of you guys running 17" plus wheels. 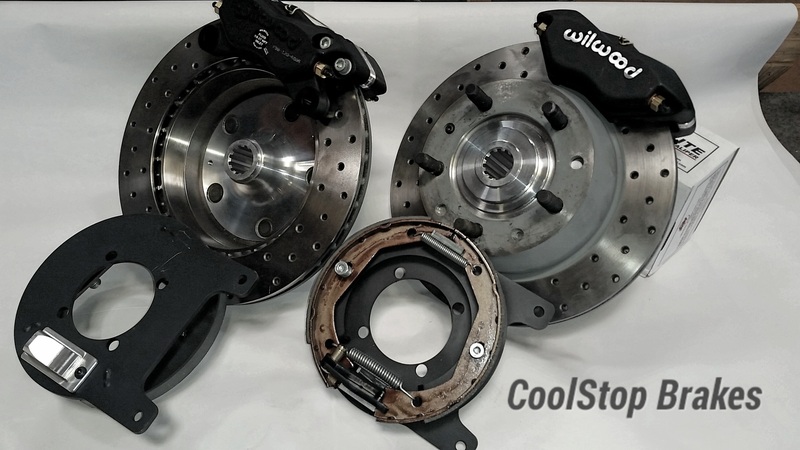 We are also offering adapter brackets to carry the Ultra Sweet Porsche 993/996 calipers for our Massive CoolStop brake kit. 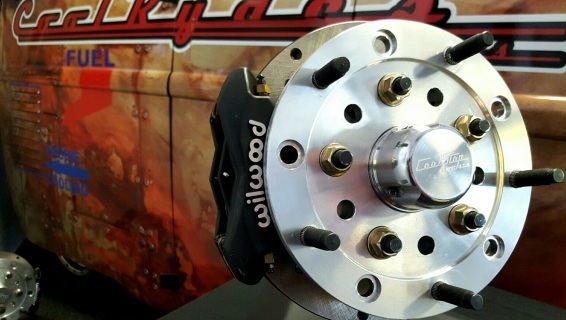 Never before has a company offered a brake kit that look this good and functions even better. We feel hiding these behind a wheel is almost not right. 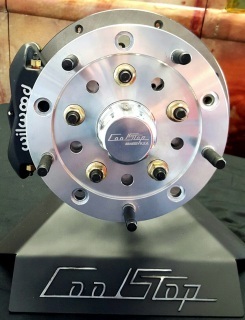 NO NEED FOR RESIDUAL VALVES ANY MORE AND THE ONLY RIGHT WAY TO RUN MULTI PISTON CALIPERS. OUR NEW 23.8mm MASTER GIVES YOU THE RIGHT PEDAL AND CAN OUT STOP ANYOTHER MASTER CYLINDERS ON THE MARKET WHEN COUPLED WITH OUR DISC BRAKE KITS BELOW. For those of you wanting to improve your braking and have a good looking brake kit at a lower price. CoolStop Brakes have been the bench mark that all other brakes are measured by for over 5 years. We have been quietly working on a econ brake kit for the budget minded VW guys. 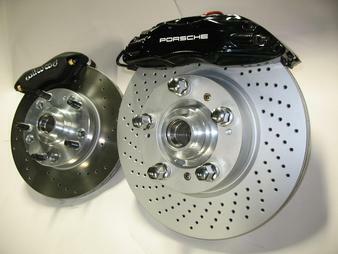 This kit is for the guys that don't push their cars too hard but still want bitchen reliable braking with sweet looks. 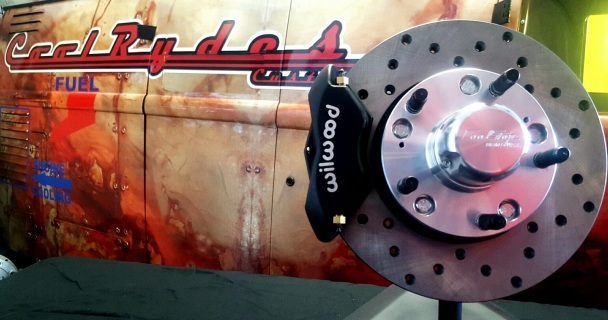 Our cross drilled none vented rotors with Wilwood calipers are a great option. 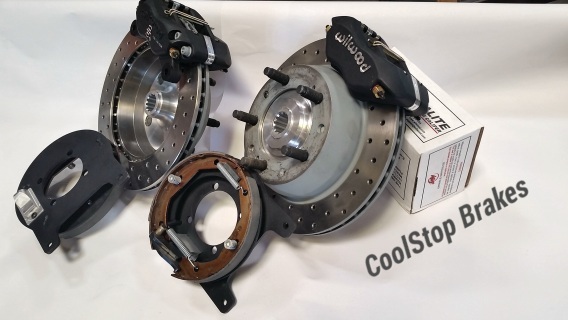 COOLSTOP MASSIVE 12.5 DISC BRAKE KIT IS THE BIGGEST AND BADDEST ON THE MARKET. 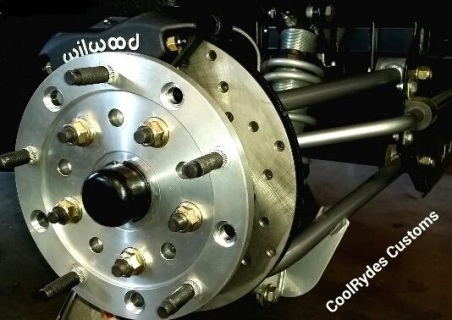 INCLUDES: BILLET HUBS, 12.5 INCH DIRRECTIONAL CROSS DRILLED AND VENTED FRONT ROTORS, WILWOOD 4 PISTON CALIPERS, BRAKE PAD SET, DOT APROVED STEEL BRAIDED BRAKE HOSES, AND NEEDED HARDWARE.